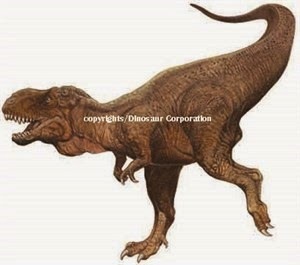 Dinosaurs first appeared over 230 million years ago and dominated the planet for 135 million years. A dinosaur classified as Eurosaur is widely acknowledged as the ancestor of all dinosaurs. During the Triassic period the continents were connected in the land mass known as Pangaea, and there was a wide homogeneity among them. With the breakup of Pangaea they became more differentiated according to their continent. It is commonly agreed in the scientific community that birds evolved from dinosaurs and share some general traits. For everything dinosaur from educational to toys and party supplies visit Dinosaur Corporation today.